Obiviously,the oragniser didn't prepare enough toilets,but peeing in public is also a fun exprencise. 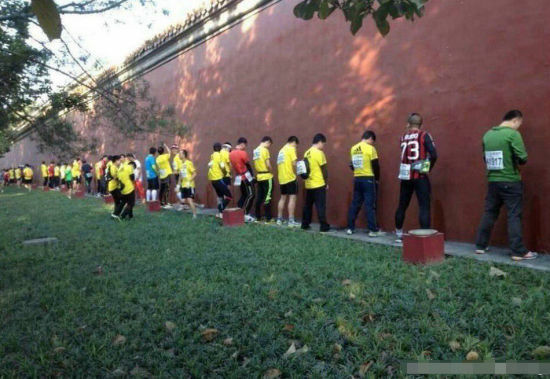 "I was suprised so many people are running marathon today.Obiviously,the oragniser didn't prepare enough toilets,but peeing in public is also a fun exprencise. 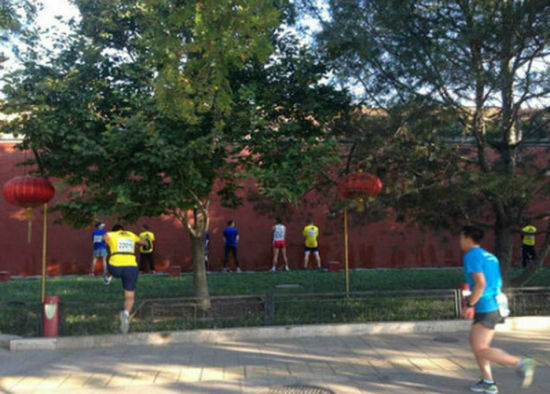 "Zhouyuan,a amateur running player said,"When the first one began it,then the others followed." I asked a volunteer of the official organisation,"why the toilets are so limited?" "In the official guides,one advise is drink little water before running. "said by the volunteer. 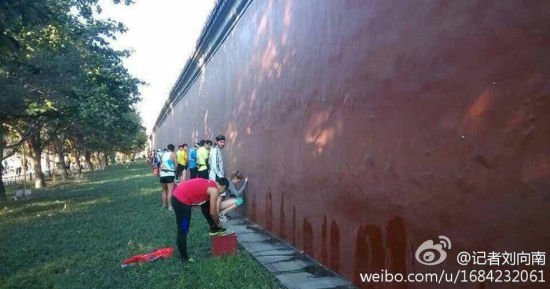 Chenzhe,a friend of mine who ran the half marathon told me"I was ashamed with that guys,they make the street smelly.I took pitures of what they did, and shared it on Weibo-a twitter like scocial networks." Tadese Tola,a Ethiopia broke the event record set 27 years ago to win the men's race before the city's sanitation department began to clean the peed streets.